Knowing how accurate are dog DNA tests will be important to understanding the true breed composition of your furry best friend. Contrary to popular opinion, markers like physical appearance are not always accurate. Many owners want to find an ultimate answer to the truth behind their dog’s ancestry. Others hope to find out if their pet’s breed may have any genetic predispositions they should look out for when taking care of their health. But He Doesn’t Look Like A German Shepherd? But I Have Breed Documents? The accuracy of dog DNA tests is determined by the purity of the sample and the integrity of the genotyping. The most precise genotyping will allow your dog’s DNA to be tested against a large database of breed’s genetic markers. To fully understand the results of a test, consider how the test works and how your pet’s genetics were made up in the first instance. A dog DNA test works in three simple steps. Firstly, the test sample is taken from a cheek swab of your pet. This captures the dog’s genetic makeup in his or her saliva. When the sample is sent away for testing, t is then compared to genetic markers of a variety of breeds. Depending on the accuracy of your test, this could be anything from 50 of the most common breeds to more than 250 unique genetic markers. Researchers then use this information to identify your dog’s breed composition. Over the generations, a dog’s genetic makeup can be a mixture of any number of breeds. The complex DNA strand includes one male and one female chromosome, as well as 38 pairs of autosomes. In each of those 38 sets, one half has been inherited from each of the dog’s parents. These tiny biomolecules dictate all manner of characteristics, including personality, disposition, physical traits and more. Cells which are commonly used in the tests include hair, blood or saliva. Luckily, saliva samples from dogs are usually fairly easy to obtain. A lab would usually not proceed with a sample that lacked the proper amount of genetic material to conduct the test. However there can still be issues with bacteria or contamination of cheek swabs which are performed at home, so it’s important that the instructions on the DNA test kit are followed precisely. 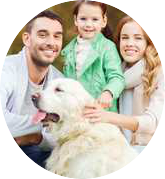 Your dog’s sample will be compared to a database of genetic markers in pure breeds. While all dogs have commonalities in their DNA because they are the same species, each breed’s genetic makeup displays unique anomalies, markers, which are most common to their breed. Researchers can use these markers as a reference point when typing your dog’s DNA. The markers are present in even a small sample. There are 2.5 billion nucelotides in a dog genome, so instead of examining the full genetic sequence, researchers are able to compare a subset of the DNA. They reference genetic markers from a database of breeds to estimate the composition and percentage of breeds present in your dog’s ancestry. Some tests may underestimate the percentage of a breed and it is possible for markers to slip under the radar. This most likely happens if the pet has markers from a breed not in the lab’s database, which is why it is important to choose a test with a large database. Researchers use genotyping chips to compare your dog’s DNA to their database. This works by first isolating the dog’s DNA from the saliva sample and mixing it with a chemical which will later allow researchers to interpret the results. The sample is washed over a DNA chip, where pieces of the genetic probe will bind to the matching probe. Essentially, a genetic probe cannot bind to a specific sequence unless your dog’s sample matches. Researchers are then able to interpret the results to make an inference of a dog’s ancestry. It is a common misconception that a dog’s breed composition can be accurately guessed by his or her physical appearance. Some pet owners will be able to make a reasonably good guess, particularly if both of the dog’s parents were purebred. In other cases the genes your dog has inherited may not be recognisable to you or even your vet. One reason it is difficult to pinpoint your dog’s breed composition based on appearance alone is because, just like in humans, certain genes are dominant in dog DNA. Brown eyes are a dominant human gene, meaning a child of one blue-eyed and one brown-eyed parent is statistically more likely to have brown eyes. Certain breeds of dog have more dominant genes, meaning that the recessive gene might be hidden in say, the dog’s physical appearance. For example if German Shepherd genes are a dominant physical gene, then a dog whose genetic makeup is only 20% German Shepherd might still have the characteristic height and alert ears. 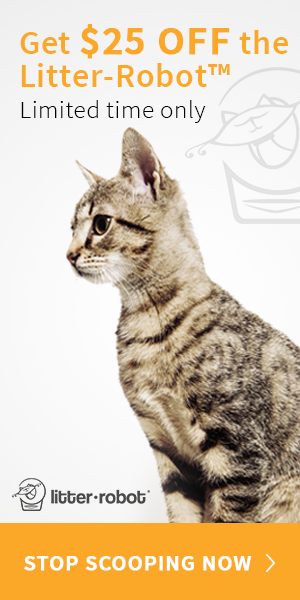 In some instances a DNA test will contradict the official papers a breeder has provided with your pet. Owners may be confident in the breed papers but the test is a reflection of what the science indicates. A dog DNA test is reliant on the database of genes it is tested against, as well as the accuracy of the sample. How accurate is it? While genotyping is not as accurate as full gene sequencing it usually gives a clear indication of your dog’s breed composition. In many cases these results will be a surprise. They might settle a family dispute over your pet’s genetic origins, or provide useful information to protecting your pet’s health in the future.